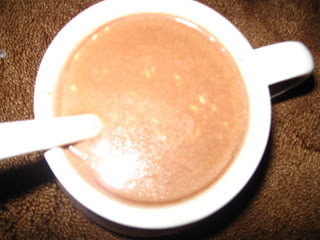 Since I was in Philippines , I really love the coco or we known as tablia. Something that is from a fruit and they grinned it for mixture on rice as champorado or chocolate rice whatever you call it. As the weather is starting to get chilly in our area, I was thinking of making a hot coco, which given to me by a very dear friend in CA. She gave me so many Filipino stuff and foods or seasoning and I would grateful for that. At least even if I don't used it all at once, I still have something that reminds me of home. And one of them was this cocoa or tablia. Made it in a casserole but unfortunately, my husband doesn't like it. Good at least I enjoyed the rest of it. hi..nice blog you have here:) can I add you up? followed you now! Hi! The post is very good and the blog also is very good. That’s why we invite you to join the service LinkFromBlog.com – the place where you can get paid just for posting in your blog. Visit the site and find more detailed information there. Make the blog work for you – it is very simple! Good luck. 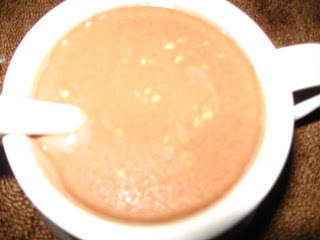 hmmm... missed champorado tuloy. hehe. Why does hubby hate it?